Scientists recently announced that they discovered how the Antikythera Mechanism was supposed to work. The 2000-year old analogue computer was discovered in the early 1900s but its functioning was always surrounded by uncertainties. The study was coordinated by Mike Edmunds and Tony Freeth from the Cardiff University. Thanks to X-Rays and tri-dimensional scanning the researchers were able to read the inscriptions inside the mechanism and to interpret its functioning. Apparently the ancient computer was used measure the movement of different astronomical cycles. There was two displays, the first one would display the passages of the Sun and the Moon through the different constellations of the Zodiac. 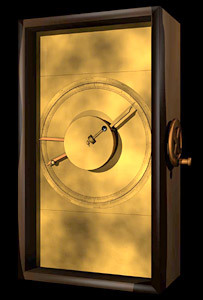 The second display, instead, would display the time in relation to astronomical cycles through pointers. A professor from the University of Thessaloniki in Greece commented: “This is as important for technology as the Acropolis is for architecture.” Along the century more than 80 fragments of the device were found, including 30 hand-cut bronze gears. (160). Such a complex technological device certainly exceeds the expectations for the advancements coming from the Greek culture, some researchers even defend that such a mechanism was more advanced that any other thing that came on the next 1000 years. One of the most plausible theories for the Antikethera computer comes from Michael Wright, from the Imperial College London. Wright created a reconstruction of the mechanism with 72 working gears, and according to his theory it was also used to display the motion of the 5 known planets of the time. “The designer and maker of the device knew what they wanted to achieve and they did it expertly; they made no mistakes,” he said.